When John Lewis retired from his job as a steamfitter, he put his captain’s license to work and went fishing. It seemed natural. 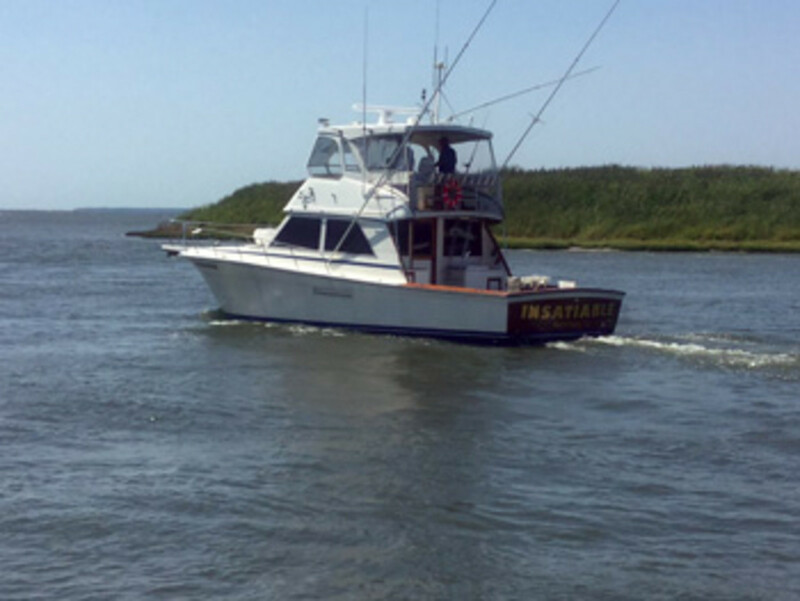 Lewis found himself running a boat for a private owner who was into serious fishing. Destinations for the Jersey-based boat included North Carolina and Florida, as well as Puerto Rico and St. Thomas, in the U.S. Virgin Islands. 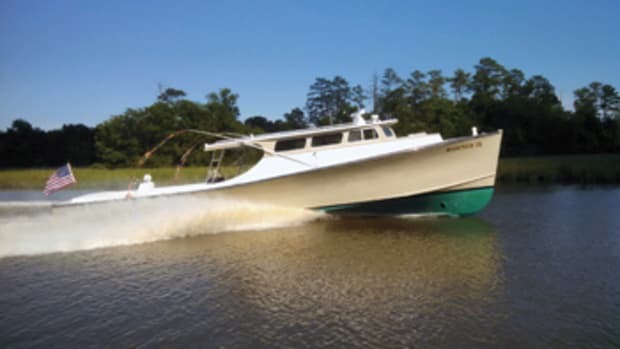 The boat was a 42-foot express from Jersey builder Henriques Yachts. The owner placed the order and took delivery in 2007. “We fished it together for five years,” Lewis says. He never regretted the decision. Lewis noticed the big cockpit for a boat of its size, the built-in fishboxes, the big saloon, the two staterooms and the enclosed head compartment. 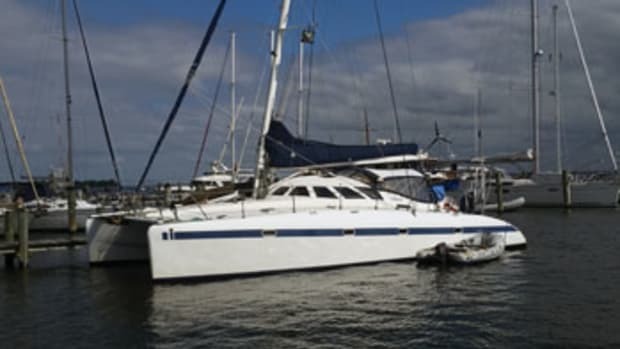 “I went home and told my wife that I’d bought another boat,” he says. Lewis often has a big party on the Fourth of July with a cookout. “We get a ringside seat for the fireworks where I’m docked,” he says. 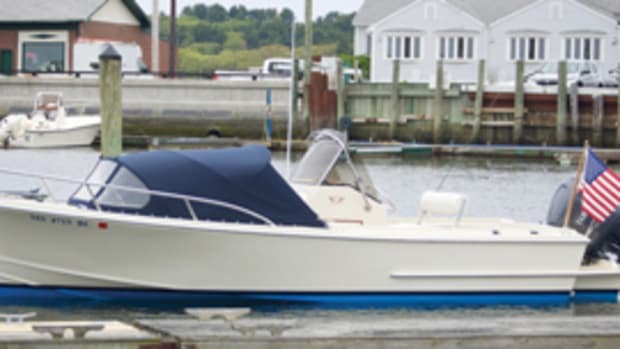 The Henriques 44 is a semicustom boat, so layouts may differ, but the design centers around a 170-square-foot cockpit with a focus on fishing. 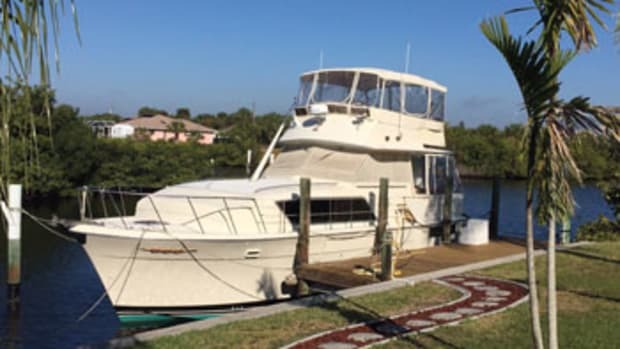 Available equipment includes a tackle center, insulated fishboxes, gaff stowage, a transom door, a cockpit helm and a live well. There’s a centerline helm station on the flybridge, as well as a companion helm seat and a molded fiberglass bench. 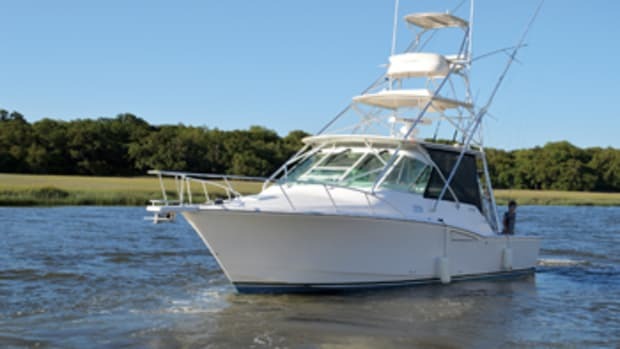 Optional tops include a marlin tower, tuna tower and enclosed fiberglass hardtop. Below, the master stateroom is forward, with room for a V-berth, a hanging locker, port and starboard cabinetry, and direct access to the head. The guest stateroom has space for upper and lower bunks and a hanging locker. The enclosed head compartment has a vanity with a sink, an electric marine head and a stall shower. 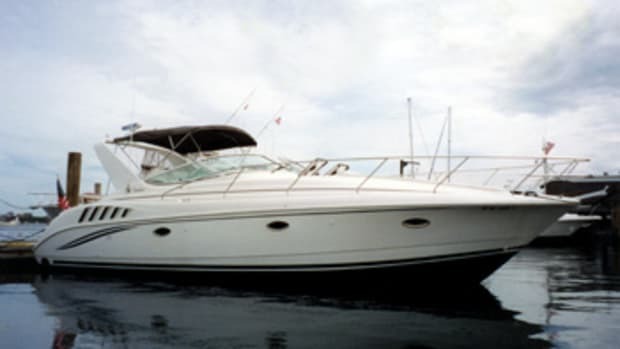 The saloon can be laid out with a sofa to starboard and an L-shaped dinette to port. The L-shaped galley is up, with room for a sink, stovetop, microwave and under-counter refrigerator. 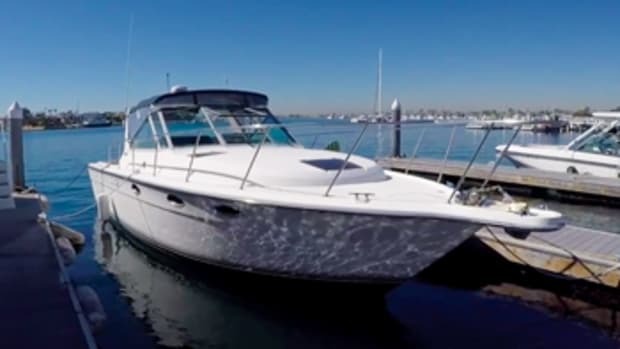 The boat rides an all-fiberglass, modified-vee hull with 12 degrees of transom deadrise. 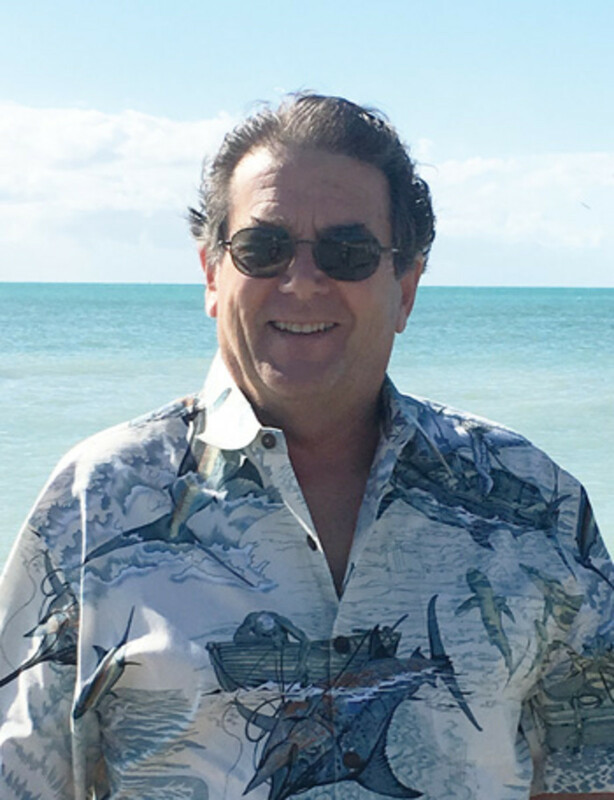 Jack Henriques grew up in Portugal, came to America and, in 1977, began building boats with his two daughters, Maria and Natalia, and a son-in-law, Manny Costa. Their goal was to design and build quality, hard-working fishing boats on a semicustom basis for serious anglers. 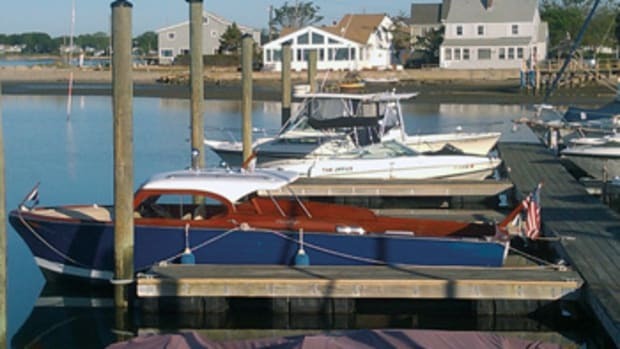 Forty years later, the New Jersey builder, still family-owned, offers express, flybridge and charter models from 30 to 50 feet.